iAsk x China Daily |Who is holding on to the dream? William Li was the last guest of the first season of iAsk Entrepreneurial Investors. He has a very clear interpretation of “burning cash” and losses. Amazon was in a loss for more than a decade, and same with Tesla. If you fixate at the baby only in its current form, it will never grow. What is really important is who wins the future. BitAutocom, Yixin and NIO, the companies’ successive listings have consummated William Li’s success, but he is also still deeply mired in the whirl pool of capital. Who is longing to become an Entrepreneurial Investor? Is it also an inevitable choice to be both an entrepreneur and an investor in order to succeed in this era? I want to find the answer. When the IAsk Entrepreneurial Investors program was still in the planning, I turned to Sheng Fu and said that Xiaobo Wu and I wanted to start a new program focusing on the Entrepreneurial Investors group, and asked him if he would like to be a guest. Sheng Fu soon agreed. He said that the majority of the entrepreneurs he has seen have become Entrepreneurial Investors. The times have changed. In the past, youjust needed to focus on your own thing and different professions were worlds apart, but today the industries are rapidly integrating. You need to keep up with the developments in different industries and think about the changes across the board at a higher dimension. Xiaobo Wu said that every person who does business will definitely restructure his or her role in a certain way at a certain point in time. Operators, capitalists, innovators, all these identities were progressively given to the entrepreneurs by the times over the past few centuries. At the moment, Entrepreneurial Investor is a living status that is more consistent with the current state and the future of the business world in China. Managing Bajiuling, a new media company, and working on TouTou Shidao New Media Fund, Xiaobo Wu naturally became one of the guests of this program. Bajiuling’s office in Hangzhou is hidden on the M&A Financial Street, surrounded by either funds or trusts. Wu said he disapproves the so-called “steering from real industry to financial industry” approach. “Look at these funds. What do they raise money for? The money still goes to investing in enterprises, and enterprises are real industries.” In a little more than two years, TouTou Shidao Fund has invested in over 80 companies, and it is through these 80 plus investments that Wu truely completed his understanding of China’s emerging industries and cultural and consumer industries. But investment is far from being as simple as it sounds. Hang Zhou, the founder of Yidao Yongche, was our guest in the fourth episode. He said, when he was managing a company, he thought it was easy to make investments. You just look at PowerPoints, Excels and reports. Investing is to spend money, and everyone knows how to spend money. The remaining time can be spent going on care-free vacations. When he became an investment partner of Shunwei Capital and started looking for deal source, inspecting projects, formulating investment plans, going through the entire invest-finance-manage-exit process, the only word he said to me was: difficult. Before I started doing investments myself, I had read an investment report on VC in the US. Seth Levine, director of Foundry Group, has consolidated the results of more than 20,000 investment cases in the decade 2004-2013, showing that 65% of the caseshad a return on investment of 0-1 time, meaning they were at loss (ROI of 1 time means mere capital preservation), and only 4% of the all investmentprojects were able to achieve a return of over ten fold. There is this joke in the investment world that is quite funny. Two investors were comparing with each other, saying things like why you are better off than me, is it because you work harder or because you are more professional. As it turned out, it is luck that determines. I put the same question to David Wei, and he proposed a concept of “Sustainable Luck”. There is this “hunting” element in investment, but investing comes down to the actual “farming”, and diligence and professionalism are prerequisites for sustainable luck. David Wei established Vision Knight Capital soon after leaving Alibaba and developed his an entire investment system of starting with consulting service then following up with investment service. Robust, the Chinese brand that lives in the memory of those born in the 1980s, once belonged to Boquan He only. His wealth, fame and socialstatus have all come from it. For a long time afterwards, however, we hardly saw any media report on him again, but what no one knows is that he invested in 7 Days Group and assisted it with its listing, gained more than 3,000 times of return on investment in Noah Holdings, and HeyTea is also among his many investment projects. He ran business in the decade after he turned 30, and achieved an investor’s due success in the following decade. Unsimilarly, Lianqiang Ji, another Entrepreneurial Investor, transformed from an investor to an entrepreneur. From General Manager of Beijing Cultural Center Fund to chairman of AirMedia Group, Lianqiang Ji experienced rapid transformation. He said heintentionally let go of some rationality in him. In the past, when some one presented a subject, a budget or a project, he would reasonably discuss the input-output ratio of the subject matter. But ever since he started doing business, he is more concerned with the balance between sensibility and rationality, and with love and responsibility. I have had multiple conversations with Lianqiang Ji, and I felt it strongly that the landscape in his world has changed and his responsibilities grew heavier. There is a piece of calligraphy work in his office that I really like, which says “Together, achieve and enjoy”. As he said, a good entrepreneur will do his own business well, and share his experience with upstream and downstream industries via investment, or share it with the latecomers, so as to help collectively prosper an industry or a cause. That is the true mission and the true spirit of an Entrepreneurial Investor. After finishing all 12 episodes, I also asked myself the question: what kind of Entrepreneurial Investor does this era need? In the past, most people would go about doing everything themselves. If you have an idea, you must do it yourself. But the times changed suddenly and drastically in the past decade. On the one hand, wealth accumulated fast, and many entrepreneurs didn’t know what to do with the money. On the other hand, the structural challenge came. They might feel good for their success over the decades, but all of a sudden, much to their reluctance, they realized that the limelight has been stolen by the Internet companies and the unicorns. Landscape, vision and excellence – these are the answers given to me by the 12 Entrepreneurial Investors. Our time does not need those easily-content entrepreneurs or the impatient profit-driveninvestors. Instead, it needs Entrepreneurial Investors who “strategize both generally and specifically”, who “roll up their sleeves and power through”. Who is holding on to the dream? As I press every Entrepreneurial Investor for the path way to entrepreneurship and investment and the law of wealth creation, I was also touched in ways that I would like to share with you. Daqing Mao turned 50 this year, but he has run 96 marathons. Like his role model Phil Knight, he goes for a run every time difficulty hits, and at the end of the run he tells himself, well, let’s give it another try. Often times a bigger truth to the story is that entrepreneurship is like standing on the edge of a cliff, with beautiful flowers in front, and a fatal fall just a step behind. Daqing Mao stands guarding his obsession, insisting on his dream, despite it all. Another one with the same obsession is Jianxin Che. From a carpenter apprentice to managing the 100 billion-worth Red Star Macalline, he said that he is “forever 28″and will always dream. At the end of recording that episode, Jianxin Che said, in his Mandarin with a little Changzhou accent, that he would thank hree women for his life: First, his mother, whose hard working, honest and frugal qualities made him a rich kid, mentally; Second, his daughter, whom he took for a meal at KFC during which he decided to start the Red Star Macalline chain; Third, his wife, whom he once bought perfume for and the experience of it led to his discovery of beauty and the importance of design.  Over its five years, iAsk Media has talked to more than 150 top figures and profiled more than 1,300 entrepreneurs. Some of them are born fearless, some stride on under pressure, some are budding stars, and some succeeded after bitter endurance. Regardless, we are here to accompany each founder, to record the trivia of their story, and to lend a hand in their journey forward.